Prokofiev’s Fifth Symphony was conceived in the Soviet Union as World War II was still raging. He gave out in a statement at the time that he intended it as "a hymn to free and happy Man, to his mighty powers, his pure and noble spirit." He added "I cannot say that I deliberately chose this theme. It was born in me and clamoured for expression. The music matured within me. It filled my soul." 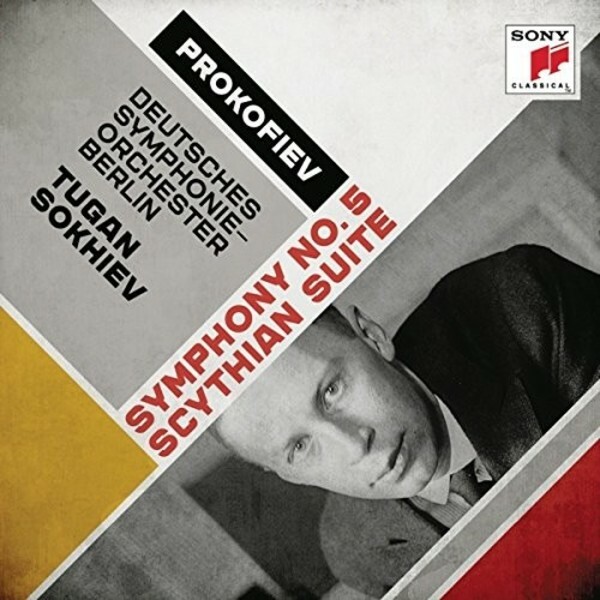 Prokofiev originally wrote the Scythian Suite for the Sergei Diaghilev ballet Ala i Lolli, the story of which takes place among the Scythians. After Diaghilev called for a change of plan before the score was complete, the Prokofiev reworked the music into a suite for concert performance. Tugan Sokhiev is a Russian-Ossetian conductor. Sokhiev began piano studies at the age of 7 and first conducted at the age of 17, inspired by Anatoly Briskin, the conductor of the North Ossetia State Philharmonic Orchestra. He subsequently attended the Saint Petersburg Conservatory, where he was one of the last students of Ilya Musin before the latter's death in 1999. After his role as the music director of the Welsh National Opera from 2003, 2005 saw Sokhiev become principal guest conductor and musical adviser with the Orchestre national du Capitole de Toulouse. He received the accolade 'Révélation musicale de l'année' from the French Critics' Union in 2005, after a Paris performance with the Capitole de Toulouse orchestra, and in September 2008, he became the orchestra's music director. In September 2010, he was named principal conductor and artistic director of the Deutsches Symphonie-Orchester Berlin (DSO Berlin). He took the title of principal conductor designate with immediate effect. In January 2014, the Bolshoi Theatre named Sokhiev its new music director. The Deutsches Symphonie-Orchester Berlin is an internationally renowned German orchestra based in Berlin. It was founded in 1946 by American occupation forces as the RIAS-Symphonie-Orchester (RIAS being an acronym for "Rundfunk im amerikanischen Sektor" / "Radio In the American Sector"). In 1956, the orchestra was renamed the Berlin Radio Symphony Orchestra (Radio-Symphonie-Orchester Berlin) and took on its present name in 1993. Music of the 20th century immediately became a programming staple, in addition to interpretations of the classical repertoire characterised by transparency, structural conciseness and plasticity.